The mission of the Horner Park Farmers Market is to provide a community marketplace for local farmers and makers of food related products, bakers, specialty food producers, live plant, flower and herb growers, and consumers. The Farmers Market also seeks to enhance the quality of life in the greater Horner Park area by supporting environmentally sound and sustainable agriculture, encouraging direct communication between growers and consumers, and providing an environment that fosters social gathering and interaction. What Is the Horner Park Farmers Market? The Horner Park Farmers Market started in 2014 and is an open-air food market and weekly community gathering. 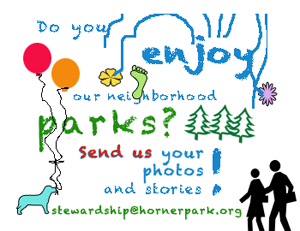 It is operated by the Horner Park Advisory Council (HPAC) and runs from June through October. It is a place where local farmers and sustainable food producers sell their goods and build relationships with consumers, where residents come to see and meet their neighbors, be fed and entertained, and grow their participation in the Horner Park community. In 2019, the Market will be open for business from 9:00 AM to 1:00 PM on Saturdays from June 8 to October 5, 2019. We are currently accepting applications for the 2019 Horner Park Farmers Market. Please see our Market Details and Documents page. For information on other Chicago farmers markets, please visit http://www.chicagofarmersmarket.us.